Toyota FCV Hydrogen Car & Fueling Stations Coming 2015. Toyota said Monday it plans to launch a fuel-cell car in the United States next year, declaring the hydrogen vehicle with zero emissions “the car of the future.” Toyota Motor Sales vice president Bob Carter said the initial market will be California, together with an initiative to establish hydrogen refueling stations in key regions of the state. Guys fishing on a pier catch footage of a swimmer being attacked by a great white shark near Manhattan Beach, California. According to the local news, the shark was caught on a hook ‘agitated’, when it bit a long distance swimmer. The swimmer was taken to Harbor-UCLA Medical Center and is in stable condition. 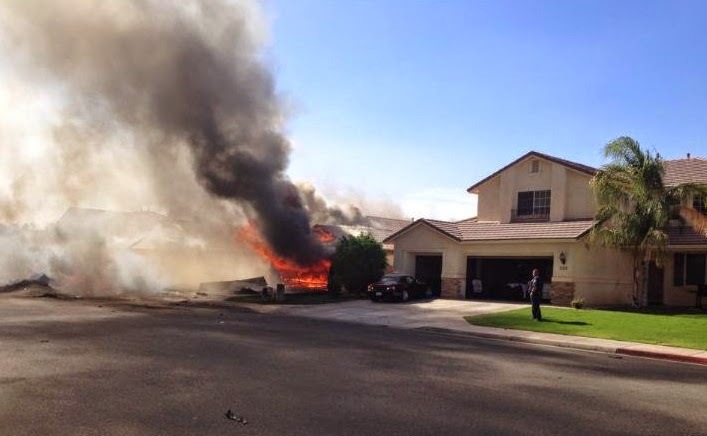 A military jet based at Marine Corps Air Station Yuma in Arizona crashed Wednesday in a neighborhood in Imperial, California. This is raw footage on the ground of the crash right after it happened. California is seeking to pass a bill that would require a warrant for California agencies and employees to assist the National Security Agency. The bill is in response to the revelations about the extent of the NSA’s surveillance on domestic targets. 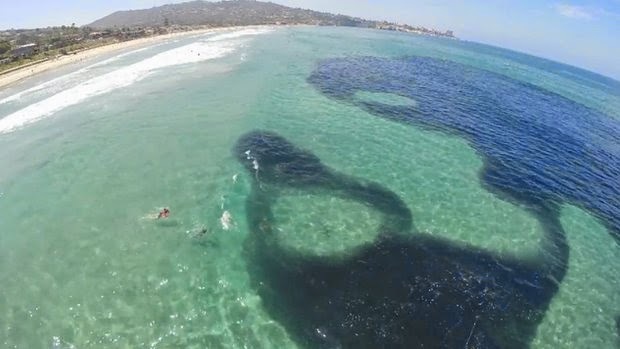 Residents of “A Basin” in the upscale Los Angeles area boating community of Marina del Rey awoke May 18, 2014 to millions of dead fish floating on the water’s surface and a feeding frenzy of pelicans, sea gulls and sea lions. A tornado of fire caught on video in FallBrook. The Fire tornado was spotted in Southern California. The crews makes are making gains on the worst of the San Diego-area wildfire. SAN MARCOS, Calif. — Gusty winds failed to return Thursday morning in San Diego County wildfire areas and authorities said it was a window of opportunity to make further gains against flames that burned homes and drove tens of thousands from their homes.